Who doesn’t love men’s button down shirts. For a long time I thought that I really loved to see my husband in his shirt and tie all ready for work. After awhile I thought it might be because he was leaving for the day. Now, I realize, it was really his shirt I loved to see. Now that The Man’s work does not require the same dress code, his shirts are mine. I took five large button down shirts and turned them into a strip-work circle skirt with an elasticized waist. Would you like one too? I am, for reasons of needing sleep, going to divide this tutorial in two parts. This first part will be on the actual making of a circle skirt. Next part will get to the nitty gritty of chopping up and reassembling men’s shirts. Okay? Good. 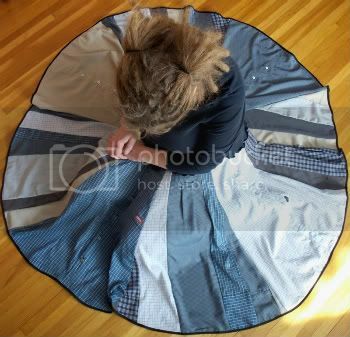 A circle skirt, by the way, is just that - a perfect circle when laid down flat. To make yourself the generic circle skirt, measure your hips at their widest point and then add 2”. This is going to be the waist circumference of your skirt. The desired length is determined by measuring down from your natural waistline (though for this particular project, the length is going to be determined by the length of a man’s shirt). 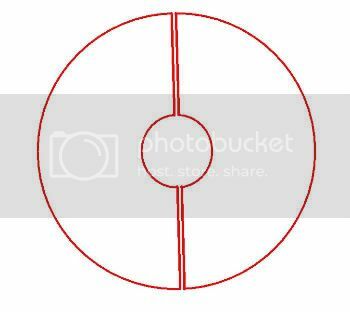 A regular circle skirt is made by taking a sheet of fabric and cutting a donut out of it. 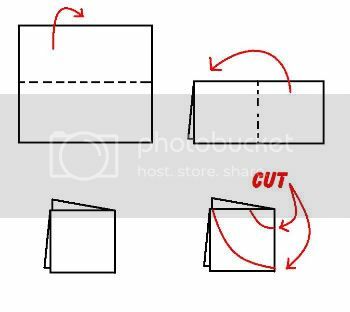 The easiest way to do this is to fold the fabric in half and, if you have a large enough swath of fabric (like you would if you are using a bed sheet) or are little enough, folding it yet again. For a children’s circle skirt I can fold a meter twice and cut out my doughnut. Ta-da, no seam circle skirt. 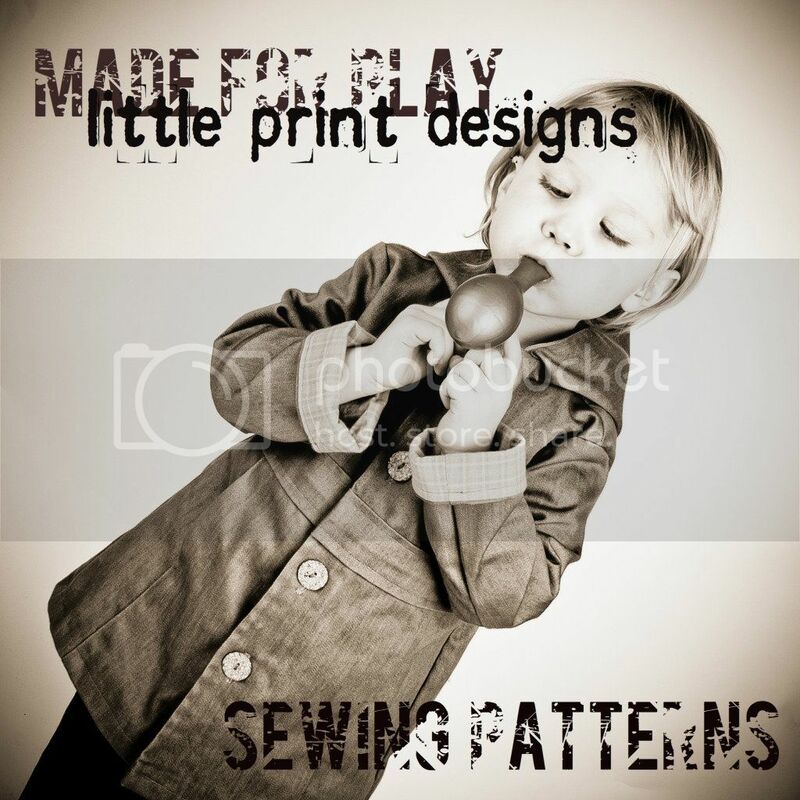 For an adult size, or rather, an adult length, a couple of meters of fabric or so can be folded twice. If you do this twice, you will have two halves to join together for a circle skirt. 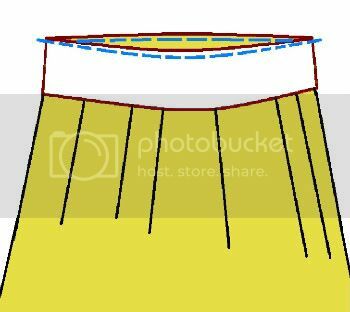 From the folded edge of the skirt, measure that number (the radius) out and make a chalk mark as many times as you need to start to see a semi circle. Draw in the semi circle. This is where you will attach a waistband. Repeat this process using your desired length measurement. This is your bottom hem. 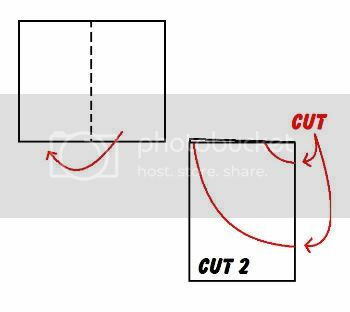 Cut out your first semi circle and use it as a pattern to cut out a second. Sew the two semi-circles together to make the skirt. Hemming a circle is a little annoying, but isn’t too terrible if you keep it narrow. I prefer to use double fold bias tape on my circle hems or a rolled hem on my serger. It is up to your preference and imagination. For an elasticized waistband, determine what width of elastic makes you happy (I actually use an extra large maternity elastic because not having my body bifurbicated with a sticky out belly roll underneath makes me happy). Size your elastic by trying it on your waist and finding a place where it feels like it will hold the skirt but not pinch your waist. Or take your waist measurement and subtract a few inches. Sew your waistband and elastic into loops. 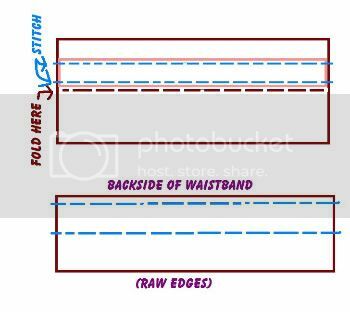 If you now fold your waistband in half lengthwise, wrong sides together, press, and then unfold it again, you’ll have a handy guide to show you where to position your elastic. Position the elastic on the wrong side of the fabric so that one edge of the elastic just about meets the midpoint where the pressed fold is. 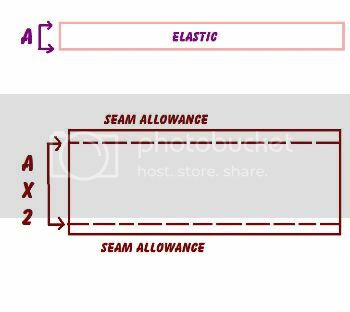 Stitch your elastic in place while stretching elastic. Fold your waistband in half again to meet the raw edges. Let's call the backside side of the waistband the backside (so the stitching does not show). Align the raw edges of your waistband to the top of your skirt, right sides together, and stitch in place. There be your circle skirt. Up next post: pt 2, with instructions for the men's shirt stripwork skirt. have you seen the tutorial for making a little girl's dress from a men's shirt? The front of the shirt is actually the back of the dress and it's darling. You need to make Smooch one to match your skirt! I love it, btw. Yes! Cheytown on craftster posted that tutorial ([url=http://www.craftster.org/forum/index.php?topic=170402.0]), which is fabulous and I highly recommend it. when am I going to learn not to try bbc code on these comments. Oooooooooooh, that's really cute! I might have to run to the thrift shop this weekend to find the source materials to get started on one of these for me! Oh my gosh, what a great idea. I save all my husband's old button-downs because the fabric is too good to trash. Now I know what to do with them! I LOVE circle skirts and I LOVE your tutorials! I've been waiting for this since you posted about doing the tute!!! I'm so excited and I can't wait for part 2! I just saw another momma in a stripwork circle shirt and coveted it - now I can make my own!! Thanks for keeping me from breaking that darn commandment (He didn't mean crafters, right?). I love it! Looks like I have a fabulous project this weekend! Thank you thank you thank you! I love that skirt! I've made quite a few circle skirts...but always from jersey knit, never from a none stretch fabric. I can't wait for part two of the tutorial! I have made some of dh's old formal shirts into rag rugs. Practical and lovely but not as lovely as a skirt!!!! I linked to you again. See why you're a category! You're amazing. Thank you so much! 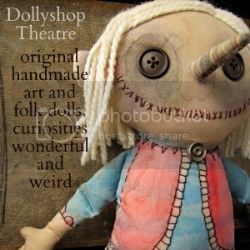 I am a complete non-sewer but my 8 year old has been picking up a needle and thread and trying to create her own projects. I decided to give your circle skirt a go with her. We had it completed within an hour and she absolutely loves it! I will be posting pictures of it on my own blog on Friday. Thanks Again! Hellow everyone! 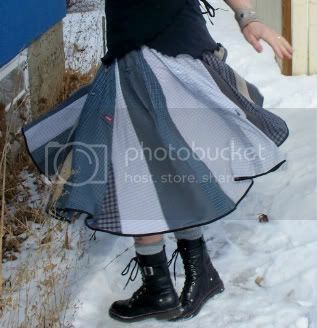 I specialize making circle skirts and selling them , check them out! there so hot! Hope you don't mind - and hope you keep doing what you're doing - so inspiring! Hye, This is a wonderful tutorial.. Have been meaning to make one for my girl.. Thx!! I'm so happy I stumbled upon this! I used this for my daughter's birthday skirt! 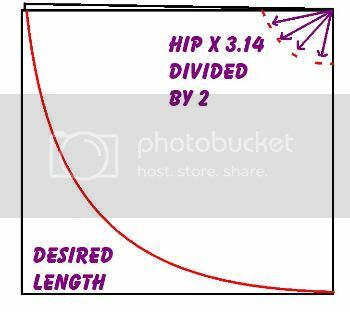 The text says "hip measurement plus 2” and divide it by 3.14". The image says "hip x 3.14" Which one is it? I've always loved circle skirts, and something I didn't see mentioned, is that one of the benefits to making your skirt in 2pcs, is the availability of side-seams. That makes room for something else I just LOVE in a skirt: side pockets! Not just any side pockets:HIDDEN side pockets! (Can you tell I get a little excited about circle skirts with pockets?) And you can make them big enough to hold a phone, cards, money and lipstick - so, who needs a purse for their errands, when you have those lovely, hidden, side pockets? OK. Calming down, now, lol.